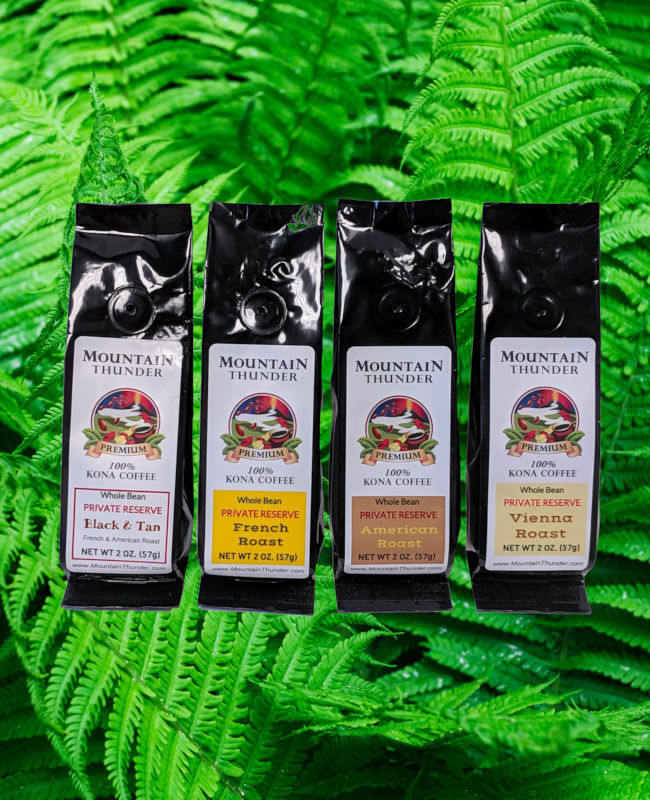 A combination of 100% Kona Private Reserve coffee in four roasts in 2-ounce packages. One Balck and Tan, One French, One American and One Vienna Roast coffee in 2-ounce bags. Perfect for gifting or trying something new.